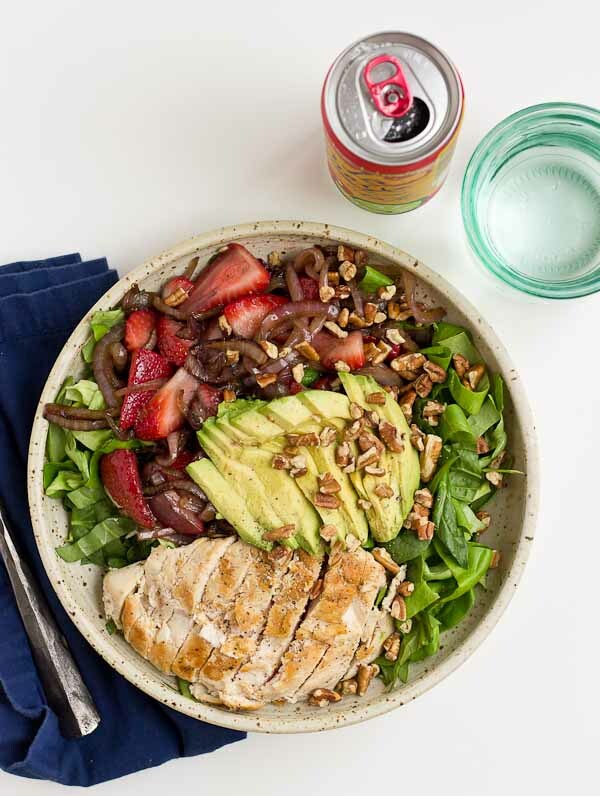 This Strawberry Balsamic Grilled Chicken Salad is light, crisp and perfect for summertime eating. 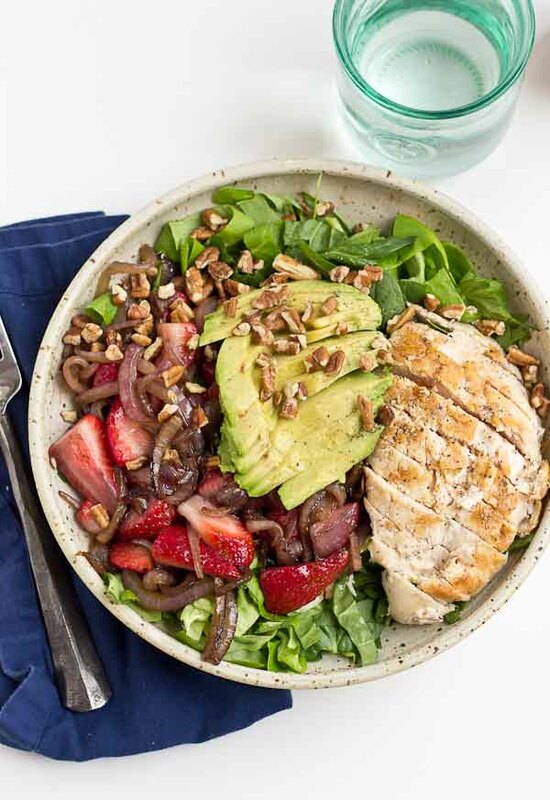 The warm chicken and balsamic strawberries and onions add so much flavor to this salad. You’re’ going to love it! Salad salad salad. I could eat salad every day… especially for lunch. In fact, I’ve gone through salad streaks where I’ve done just that. There’s something about a bowl full of veggies, fruits, lean proteins, and healthy fats that just makes me feel darn good with lots of energy. Love that balance. I’m a salad girl through and through. Not like a petite side salad type of gal, but more of a protein packed meal type of salad chick. 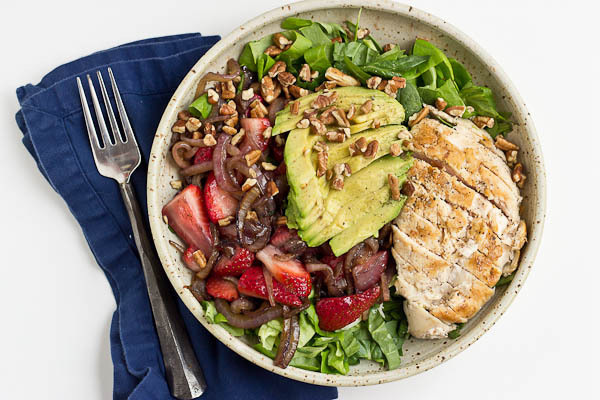 Salads that are wholesome and warm and comforting all-in-one-bowl are the best type of salads. 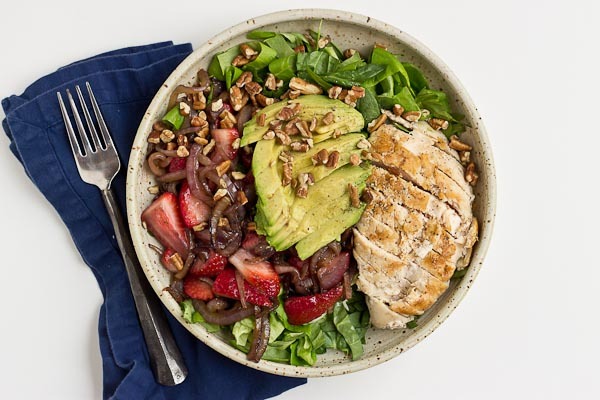 We’re talking grilled chicken and sautéed onions and strawberries in thick balsamic vinegar pilled high on top of crispy salad greens and sweet pecans. Our kitchen has been cranking out all types of salads lately so get ready to up your salad game. Can I get an Amen? 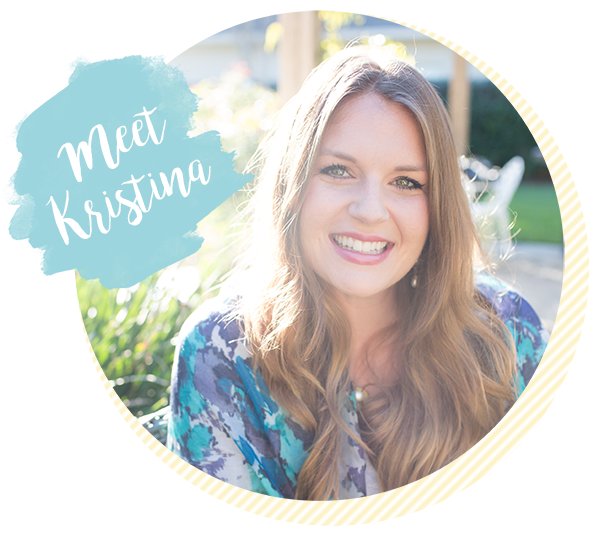 I’m at a conference this week, the Today’s Dietitian Symposium is in Orlando and I feel like I’m running around trying to get a zillion things done before I head out for the day. I tell ya, I thought it was hard to get out of the house before baby…. now it’s a whole new game and way more complicated. 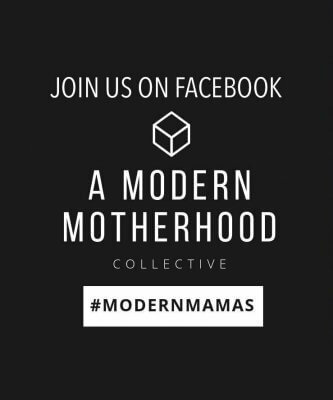 Moms, ya feel me? In cast iron skillet saute onions in a tiny drizzle of olive or coconut oil. Add strawberries and balsamic vinegar to the pan to gently warm and blister the strawberries. 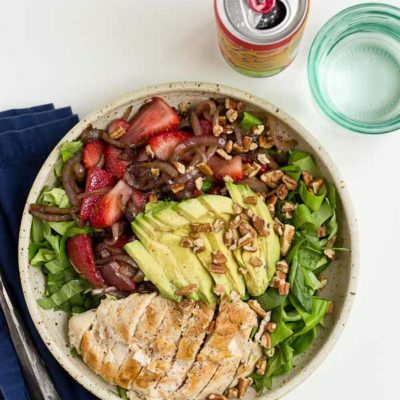 Build the salad with greens, chicken breast, balsamic onions and strawberries, avocado, and pecans. Drizzle salad with remaining balsamic vinegar from the pan. I cant wait to try this! How did you cook the chicken for this salad? Yummy looking & I can’t wait to try this salad. 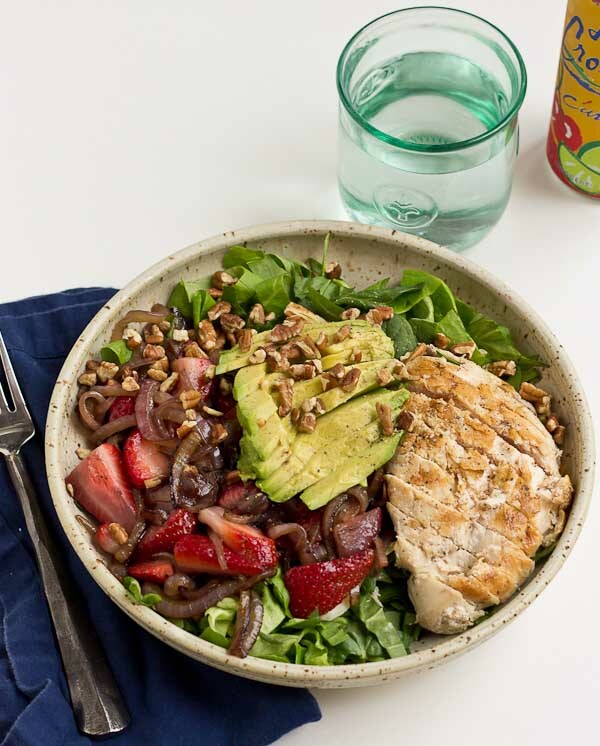 You had me with the strawberries, avo and chicken, but those sautéed onions sealed the deal. 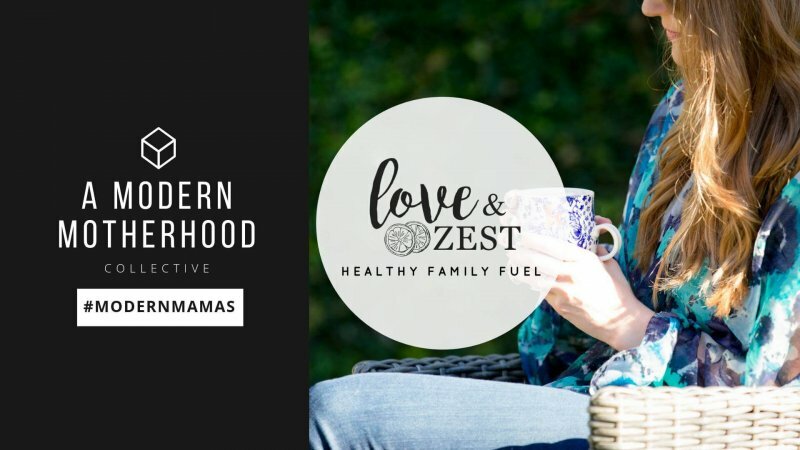 This is the perfect power lunch! Love it! Thanks girl 🙂 I love sautéed caramelized onions too. yummmo.